New Bay Area town homes prices have changed again. 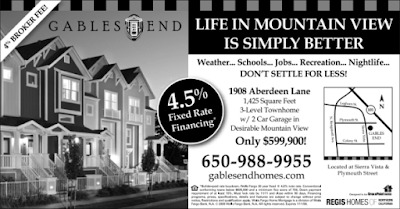 3 bedroom, 2.5 bath home with 2 car garage is offered for $659,900 in Gables End community in Mountain View near Googleplex. 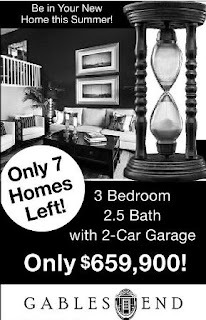 The same new Bay Area homes have been priced by Regis Homes at $599,000 in 2009. 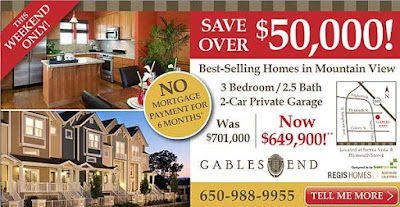 The price for new Gables End town house in Mountain View was $649,000 in 2008.